Approximately 8" long by 3.5" wide single sides door hanger, professionally printed on card stock. Proofs are provided within 1-2 business days of a completed transaction. Hanger measures 8" long by 3.5" wide with a 2" hole to fit nearly any knob. 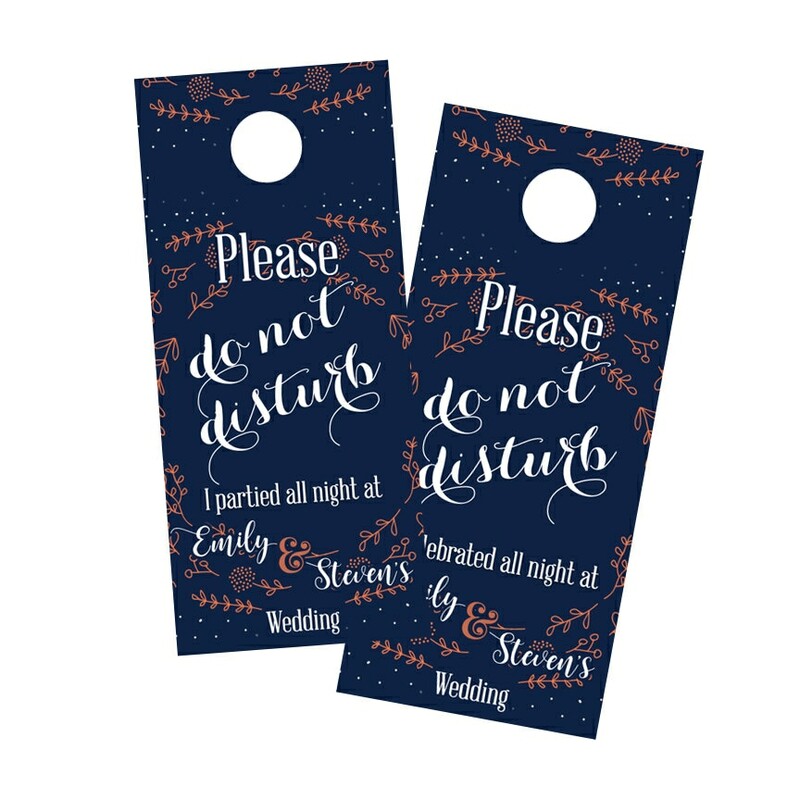 Wedding Door Hangers are made in the USA.